Activity [youtube=http://www.youtube.com/watch?v=_IqWal_EmBg] Credit: HouieLouy Watch the above video then answer the following questions. Comprehension questions Are the following statements true or false? The incident happened in the USA. There was a problem with the pilot’s microphone. The controller declared an emergency. The pilot was slurring his speech because he was drunk. The pilot requested vectors for Cincinatti. The pilot couldn’t control the altitude, speed or heading. The aircraft crashed in Athens, Greece in 2005. Which of the above words are verbs, adjectives and adverbs? Which of the above phrases describe “short actions”? Which of the above phrases describe states or conditions? In what order did the above events occur? Structure – past continuous and past simple Past continuous is used to talk about a long action at a specific time in the past or an action at a specific time in the past that gets interrupted by something. While the primary controller was trying (with the aid of a second pilot in another aircraft) to understand what the crew were reporting, his colleague Stephanie Bevins tuned the radio frequency and recognised that the crew were suffering from severe hypoxia. Which of the above are long actions and which are short actions? Draw a timeline to show the sequence of events. What is the difference between using while and when? Structure – past simple and past perfect continuous Past perfect continuous is used to talk about (a) something started in the past and continued up until another time in the past, or (b) the cause of something in the past. The airplane descended to 11000 feet, where the crew of the Learjet recovered and began to respond normally again. They subsequently confirmed that they had been suffering from hypoxia. The airplane continued to Detroit’s Willow Run Airport, where it landed safely. Are all the events in the above paragraph related in chronological order? Why does the paragraph use had been suffering instead of were suffering? Pronunciation How do you say the following verbs in their past simple form? What sound do the verbs end in - /d/ /t/ or /id/ ? For feedback and more information about Aviation English Asia’s courses please visit http://aviationenglish.com. We can help you improve your English whether you are an experienced pilot, a cadet entry pilot, a controller, engineer or flight attendant, with custom courses designed specifically for your needs. If you haven’t already please join the Aviation English mailing list for instant access to free demonstration units of the ICAO Aviation English Online course, special offers and details of courses in your area. Advice about improving your Aviation English and passing an ICAO English test from Aviation English Asia. 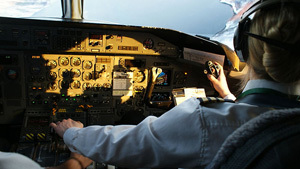 Article written by Michael Egerton Using English grammatical structures accurately is an important skill needed by pilots and controllers in their ICAO English test but also for other airline employees in their everyday duties, particularly if you need to say something in a subtle way or obscure information. When learning English you should also learn the function of a structure rather than just memorising the structure itself. When you know what a structure is for, and why it is used your Aviation English will improve rapidly. In this article we are going to look at passive and active voice, and why they are used in English. We will then look at an example of how they can be used in an aviation context, followed by some Aviation English exercises. Six passengers on-board a flight from Turkey to Russia on 24th September were made to stand because there were not enough seats. The adult travellers stood for the entire five-hour flight, except for when the plane hit turbulence, during which time the passengers were forced to sit in the aisle without seatbelts. 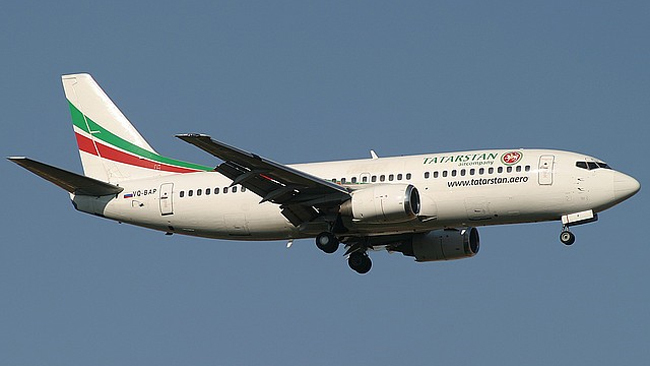 The passengers were subjected to ‘standing room only’ after the Tatarstan Airlines flight from Antalya to Ekaterinburg was replaced by another aircraft with fewer seats just before take-off. The standing passengers were without oxygen masks or life vests on the overcrowded jet. One passenger told the UK's Daily Mail newspaper “The adults had no choice but to fly standing for five hours. When the plane flew through turbulence, they went from standing to sitting in the aisle where they had no safety belts.” The cabin crew told passengers to put children on their lap - but the children were too big. The angry passengers have each demanded $4,900 in compensation but were only offered $212 by the tour company which had booked many passengers on the flight. A spokesperson from the tour company defended the airline, saying the passengers could have waited for a later flight. “People had a choice to fly on that plane standing up, or wait seven hours for another plane,” said Evgenia Fedorova “All the tourists decided to fly back despite uncomfortable conditions.” The incident has not been denied by the airline and aviation regulators are said to be probing the incident. Comprehension questions Before answering the questions, read the article again and identify which sentences use passive voice and which sentences use active voice. Why was passive/active voice used? Why do you think the airline made the decision to make passengers stand? What were the dangers of having passengers standing during a flight? Would you have liked to have been one of the cabin crew working on that flight? If you were a member of the airline how would you explain to a passenger that they had to stand? Aviation English Exercise How do you say the following sentences in passive voice? Cabin crew made passengers stand because there were not enough seats. Cabin crew forced passengers to sit in the aisle without seatbelts. Another aircraft with fewer seats replaced the Tatarstan Airlines flight from Antalya to Ekaterinburg. The cabin crew told passengers to put children on their lap. The passengers have each demanded $4900 in compensation. The airline has not denied the incident. Aviation regulators are probing the incident. The captain told him to pull out the quick reference handbook and run the checklist. The aircraft had just leveled off at its cruise altitude of 35,000 ft. when the master caution lit up. The first officer did so and the flight proceeded uneventfully. Emergency and abnormal situations such as these occur onboard aircraft every day. They range from life- threatening and highly time-critical to mundane and relatively trivial. Sometimes these situations can be anticipated so pilots have checklists to help them. What tenses are used in each of the sentences? What is the correct order of the sentences? What clues are in each sentence to help you find the correct order? What other "time phrases" are used? a specific time in the past (possibly at the same time as another event) - eg The aircraft was at 35,00 ft when the master caution lit up. completed action in the earlier past - eg The aircraft had just levelled off at its cruise altitude of 35,000 ft. when the master caution lit up. Think about the procedures you would follow if there was a fire on board the aircraft. Then consider how such an event could be reported. Look at the following sentences and reorganise them into the correct order. The correct answers will be posted on our Facebook Page Discussion Forum. Thick, black smoke billowed everywhere. Despite the reduced visibility in the cockpit and the loss of the displays and systems, the crew completed a successful emergency landing and all passengers were evacuated without injury. The long flight had been uneventful until the aircraft was 240 miles from its destination—then everything seemed to go wrong at once. Electrical systems began to fail and the glass cockpit displays flickered off and on randomly for over two minutes before going completely black. A small fire in the front galley could not be extinguished. You should be able to guess their meaning from context, but if not you can also find their synonyms on the Facebook Page Discussion Forum.